K-Beauty fanatics, the wait is officially over. 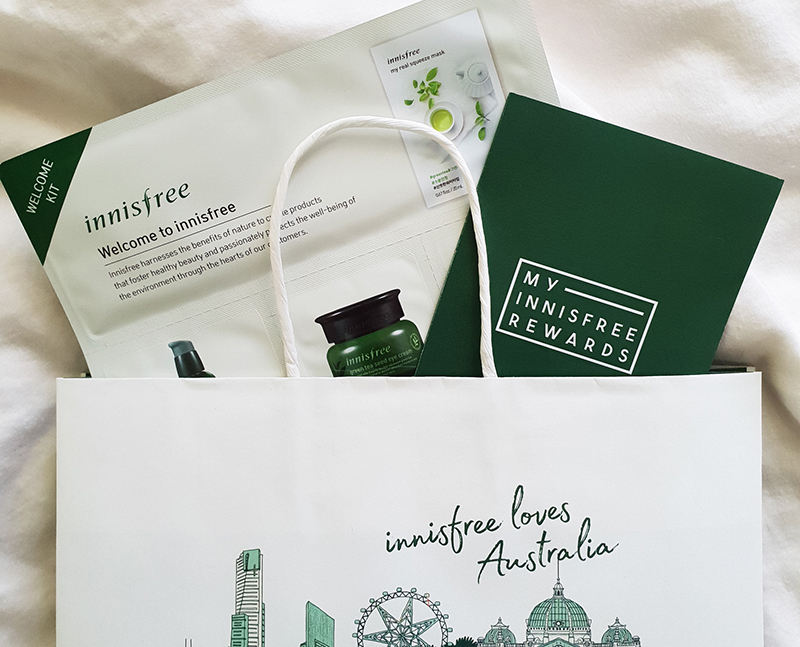 Popular Korean beauty brand Innisfree has welcomed Sydney-siders with its first official retail store at Sydney QVB. I took the time to enter it yesterday and purchased myself some face masks to pamper myself with...and it was great! Innisfree is known for being its first of a kind in Korea to have products that consists of high quality natural ingredients from Jeju island, using rich minerals and oils to produce a wide range of items. To celebrate their opening, they are currently offering a welcoming kit for every customer that purchases their products. The kit contains samples from their green tea skincare range which includes green tea seed serum, green tea seed eye cream, green tea seed cream and a green tea sheet mask. They also have an upgraded membership program for Australian customers which can help you accumulate points for all your purchases. Download the My Innisfree Rewards app to register and enter the receipt number to have your points added onto their system for future discounts and free gifts.